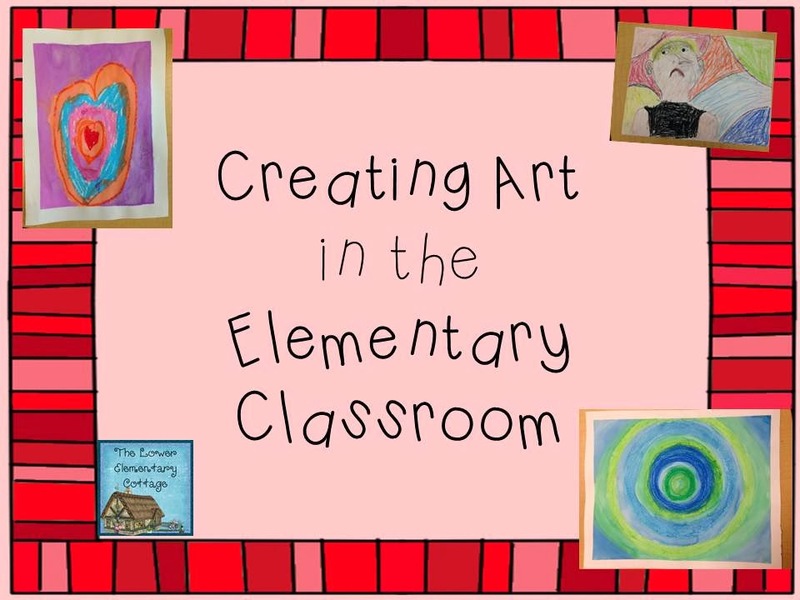 This year I've come to realize that when I've done art in the classroom, it would more accurately been called "crafts!" 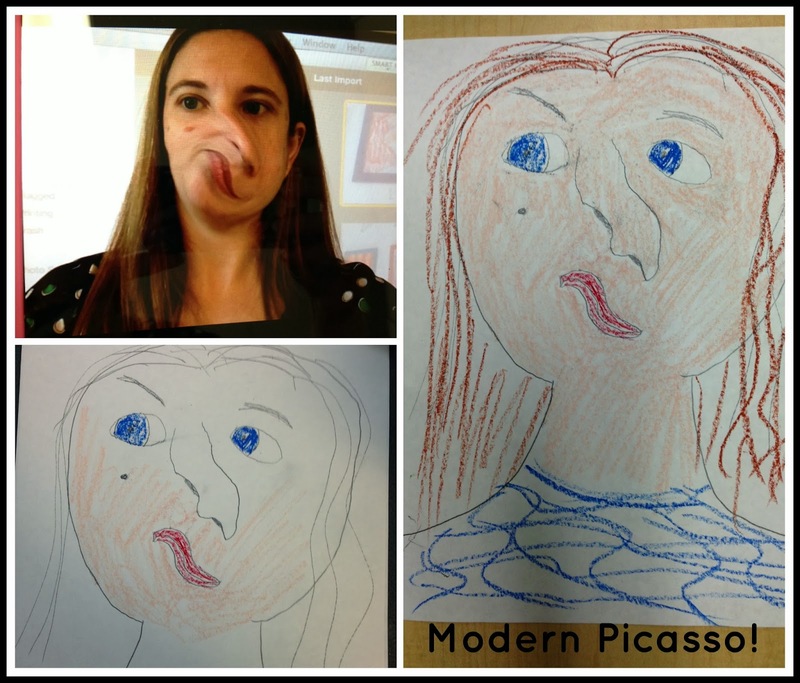 I never realized there was more to 1st/2nd grade art than crayons, construction paper, and tempera paint. My school is currently between art teachers and I've volunteered to teach art to my own class during this time. Additionally, I've had some time to observe art teachers, and explore a bit of youth art projects on my own. Here is a peek at two of my favorite projects. This one is by far my favorite! The kids loved every moment of this lesson today! Earlier this week I had the opportunity to watch a wonderful art teacher teach a lesson on Kandinsky's Farbstudie Quadrate. She played lovely music and had the kids paint circles. She had extra materials so I was able to participate and make my own painting. Check out my painting on the left! I love it so much I plan on framing it! This inspired me to use the same techniques to create a Valentine version with my own class today! You can see my demonstration picture for the kids on the right. I played my Mozart Pandora station and painted with my class today. Tape the edges of white construction paper with painters tape. This creates the nice white border when you're done. Using oil pastels, start with a small heart in the middle of the page. I prompted the kids to draw a question mark shape, then draw a backward one on the other side. This seemed to help kids who didn't know how to make hearts. Then create larger hearts around it, keeping space between some of the heart outlines (this leaves space to paint with water colors later). Leave space around the outside to create a nice background. Paint with water colors in the white spaces and over the top of the oil painted sections. The layers of color make a wonderful effect! Leave the painters tape on until the papers are completely dry or it will rip the page. Please forgive my lack of artistic ability on this one. I drew it in approximately 2 minutes to demonstrate for my class!! The kids thought this was the coolest, most fun project ever! I have a whole class of wild and silly boys, so this was right up their alley! Open Photobooth on iPad and take a self-portrait using one of the three photo styles on the right side of the screen such as swirl. This helps kids see what they would look like with their facial features in the wrong places. Use a pencil to draw the outline of the head and facial features. 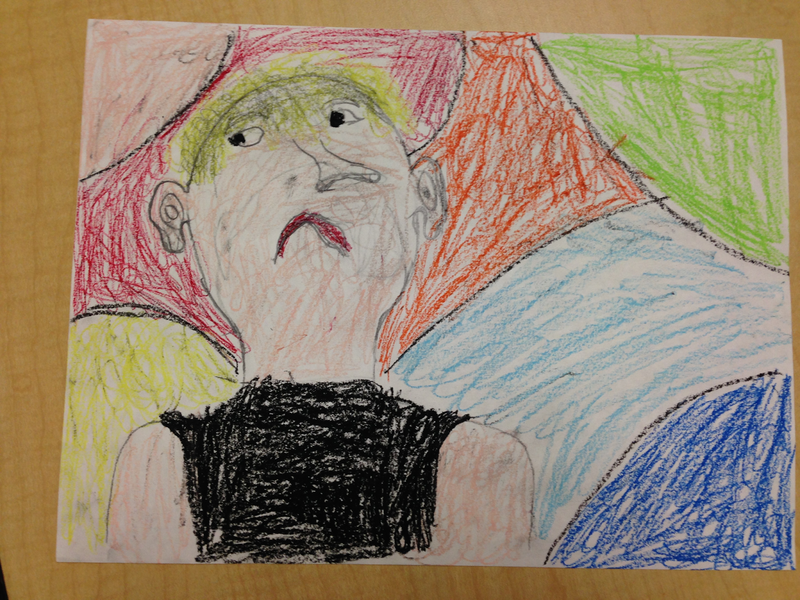 Use oil pastels to color and add in details. Color a bright, colorful background behind the head! Enjoy your class of beautiful art work!! Happy New Years Everyone!!! Sorry for the little hiatus in my posts, but December was a whirlwind! I've been spoiled by working with my co-teacher, but unexpectedly she was out for 2 weeks in December. Me + 11 boys in Special Ed = Organized(ish) Chaos! I decided to take the holiday break to refresh my batteries and now I'm ready to go for 2014!! We had a teacher day on Friday, and worked with our teacher teams. I'm on the Math Team. My project is to get to know Woodin Math and see how we can use it to help the struggling math kiddos at our school. If you know anything about it, I'd love to hear it! Today was the 1st day back from break with kids and it was good to see them all again! They were all super excited to be back and definitely a chatty bunch! After the crazy month of December we jumped right in where we left off and picked up our usual routine. Today we were working on creating compound and complex sentences. I can't believe how much their writing has progressed! Some of them could barely write a simple sentence and now are filling up full pages. We are a transition school and I feel like this is the biggest area I can help them move to the general ed classroom again when the time comes. Our theme for this month is Famous Americans. Every year I've made the Evan Moor Theme Pockets for Famous Americans. I LOVE the project but it takes time to make that many books. I haven't decided if we're making the book or not, but we're definitely making the activities. I've also found this great Person of the Month book by Scholastic. I'm going to tweak the format and do each person for a day or two instead. I know this is a very condensed version, but my kids seem to have very little knowledge beyond presidents and I want to expose them to as much as I can. We're also going to do an "inventors" unit later this year so I may save a few people for that.